Bus stop spotting can easily become an obsession in Kyrgyzstan. Dotted on the main highways and country roads, these bus shelters did not follow an austere, Soviet model. 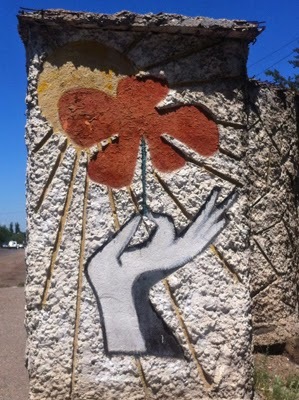 Instead they are a riot of mosaics and murals depicting Kyrgyz mythology and patterns as well as patriotic themes from Soviet times. These bus stops are so surprising, so marvellous and at times so quirky, e.g. 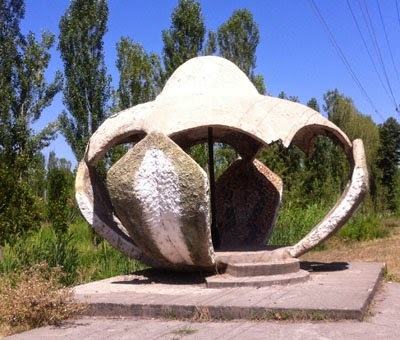 a yurt-shaped bus stop, a traditional Kyrgyz men's hat (kalpak) bus stop and stops with hammer and sickle ornamentation. Kyrgyz bus stops can be viewed as public art - installations along city and provincial streets. Some of them are utterly impractical as bus stops but marvellous structures. Their heyday was the 1970s and 1980s. Photographer Christopher Herwig travelled through 13 former Soviet republics photographing these marvellous structures. His deluxe, limited edition hardcover book was funded through crowd sourcing and sold out within two weeks of publication. It is the most comprehensive and diverse collection of Soviet bus stop design ever assembled. It also includes interviews with the people who helped design and construct them. A second edition is planned for autumn 2015. Sign up for notification about when it is available on Herwig's website. Do watch the video on that page for some fabulous images of creative bus stops and listen to Herwig talk about his obsession and the project. 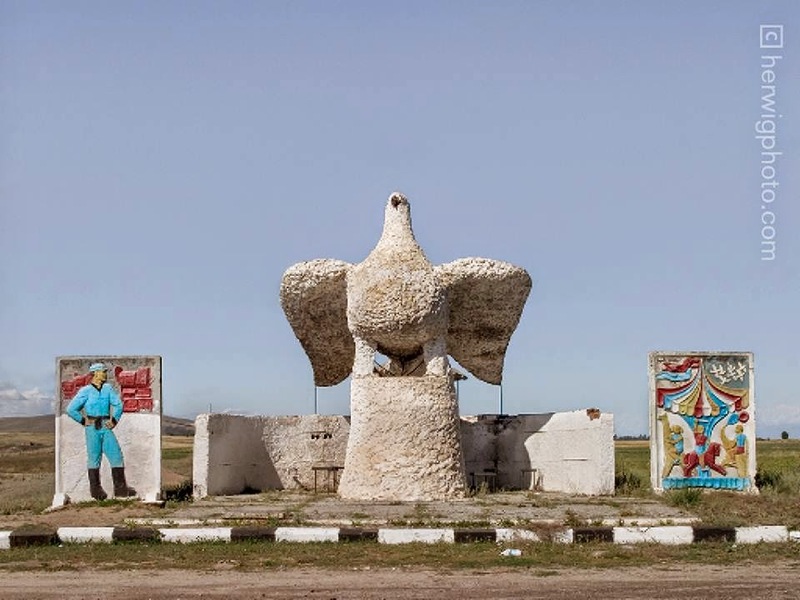 Kyrgyzstan has some splendid bus stops - the tragedy is that they are rapidly deteriorating. Alexander, the driver on Uzbek Journeys tours, is very accustomed to clients calling out to stop for a bus stop photo. He is now a little obsessed by them as well!